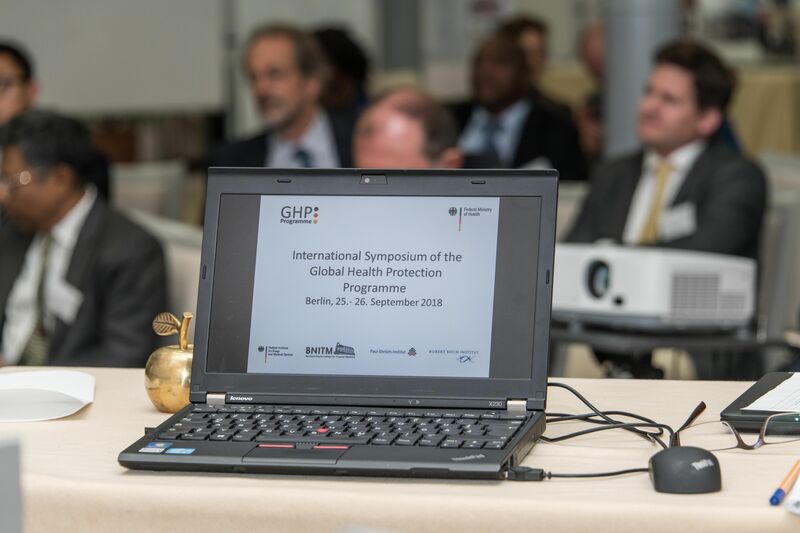 The International Symposium of the Global Health Protection Programme (GHPP) took place in Berlin from the 25th to the 26th of September 2018. Experts from 19 countries as well as representatives of German federal ministries and institutions discussed project results and current challenges in the prevention and control of disease outbreaks. On the first day, German activities in the field of global health were presented. These included the Federal Government's Global Health Strategy, which is currently being revised with the involvement of national and international stakeholders under the auspices of the Federal Ministry of Health, the biosecurity programme of the Federal Foreign Office, the health programme in Asia of the Kreditanstalt für Wiederaufbau (KfW), the research initiatives in Africa of the Federal Ministry of Education and Research and the international activities of the Friedrich Löffler Institute. In addition, the Observatory for International Health Security, which is located at the Robert Koch Institute, was presented. Prof. Colin Masimirembwa from the African Institute for Biomedical Science and Technology (Zimbabwe) impressively pointed out that there is too little research capacity in many African countries and that health research and innovations are virtually non-existent. He called for the long-term development of research capacity in African countries and for ensuring that research infrastructure and issues are adapted to local needs but also meet international standards. Dr Justin In of the International Vaccine Institute in Korea addressed the global spread of antimicrobial resistance (AMR) and the importance of evaluating the incidence of AMR in Asia. 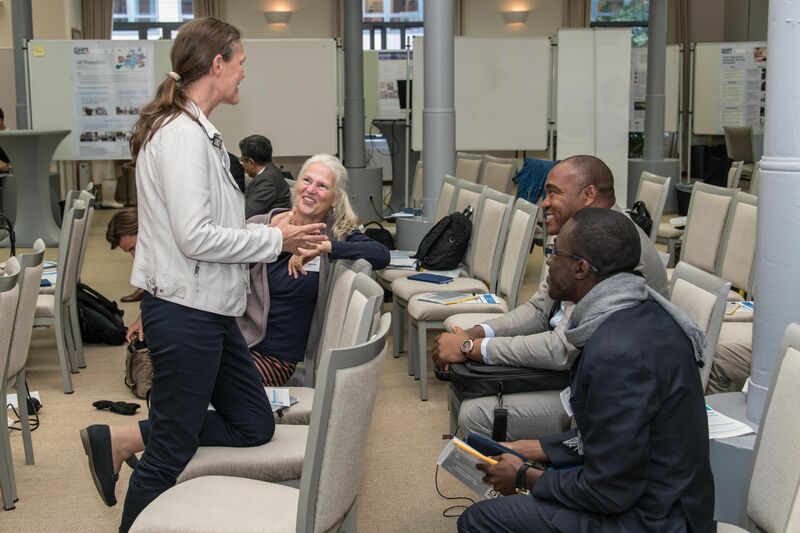 Dr. Adjaratou Traoré and Dr. Tim Eckmanns reported on the AMR capacity building using the example of three projects in Côte d'Ivoire to build laboratory capacity in diagnostics. Dr. Paul Tanui of the New Partnership for Africa's Development (NEPAD) Agency (South Africa), an expert panel of the African Union, reported on the mandate of the panel for the African Medicine Regulatory Harmonization Initiative (AMRH). This partnership, which includes the WHO, GAVI, World Bank and Bill and Melinda Gates Foundation, aims to improve the fragmented regulatory system of product registration in Africa. Prof. Premawansa of the North Colombo Teaching Hospital (Sri Lanka) reports on the establishment of laboratory capacities for the diagnosis of high impact pathogens in Sri Lanka. Dr. Claude Tagny from the University of Yaounde (Cameroon) gave an overview of the status of blood safety on the African continent. Dr Ariane Halm (RKI) presented the work of the Global Outbreak Alert and Response Network (GOARN), a global partnership coordinated by WHO to provide multidisciplinary support for outbreaks of infectious diseases and other emergencies. On the second day, the 15 subprojects of the GHPP presented their progress. After the short presentation of the projects by means of a presentation, there was the possibility to inform about the project work by means of posters, illustrative material and interactive formats such as YOUR quiz, films, photo shows, simulation of an epidemiological telephone conference, demonstration of the putting on and taking off of personal protective equipment and demonstration of the use of blowpipes. My sincere thanks go to all GHPP staff members who designed the marketplace with a lot of creativity. 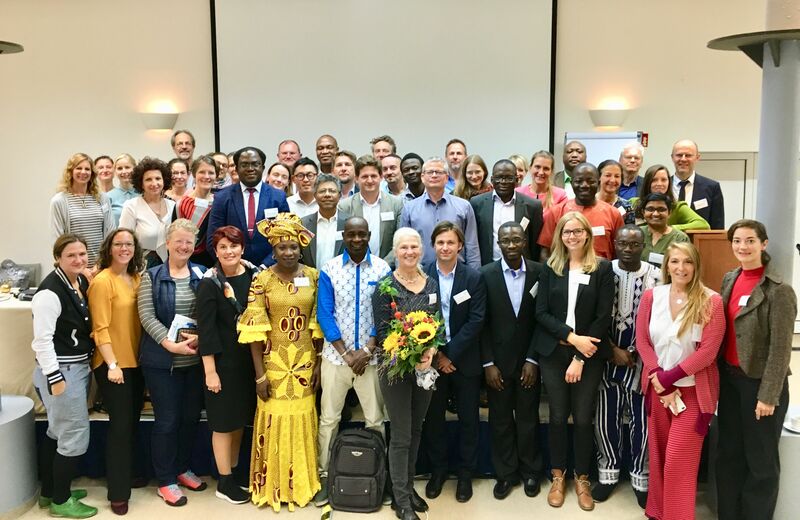 Overall, the aim of the international symposium was to present relevant initiatives and projects on the German side and to exchange expectations and experiences with the participants from the partner countries. Stimulating and open discussions took place, relationships were established and synergies were discovered.